New Poconos Golf Packages ! 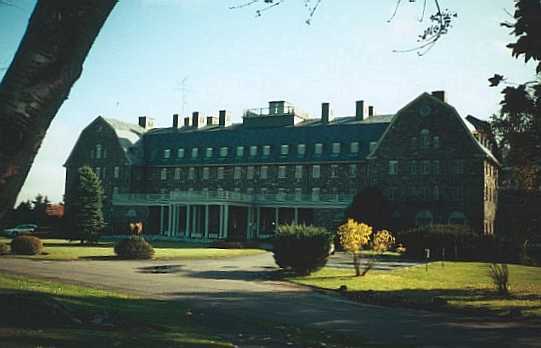 Golf Groups Call For the latest on Poconos golf news ... or visit GolfPocono.com ! 24 local area Golf Courses offer a variety of Golf & Golf Accommodation packages to fit your needs and budget! From Weekend Escapes, to Stay and Play Packages, to Corporate Meetings with Golf. Call us about your upcoming visit, and we'll send you information on out packages or quote you golf group the guaranteed best rates. Skytop Resort - Rt. 390 North of Canadensis. Skytop Details. Private - You'll need to be a member or a guest at the resort to play here, but if you are....the course is much more difficult than the yardage would indicate, because its greens are tricky. Excellent play with usually good conditions. Glen Brook Country Club - 18 holes, Glenbrook RD Stroudsburg Wonderful layout of course. Excellent pro. Mike is patient with the beginner and great at fine tuning the advanced player. Flat and wide fairways with medium sized greens. The course at Glen Brook is one of the oldest golf courses in the Poconos. It is a gently rolling course that offers a great variety of holes to play. With scenic mountains in the background, it is a sporty, never boring course to play. Glen Brook brings water into play on five holes and has relatively small greens. If you are tired of billiard table course (long flat and uninteresting) then Glen Brook will rekindle a zest for real golf. There's a challenge on every hole, both for the high and low handicapper. Buck Hill Golf Club - 27 holes, Buck Hill Falls . Old classic course. Scenic with hilly, sloping and narrow fairways and small greens. Call to check green conditions. 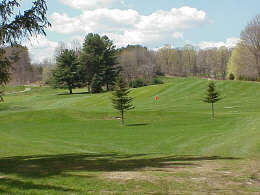 Cherry Valley - 18 holes Cherry Valley RD, Stroudsburg, Average course with average conditions. Good for beginners and juniors. One of the closest courses to New Jersey. With the new renovations completed in 2006, golfers from everywhere are raving about the changes at Cherry Valley Golf Course in Stroudsburg, Pennsylvania. A change in the layout adds a twist to things. Come enjoy 3 new holes, cart paths on all 18 holes, new trees, traps and rebuilt tees (which will lengthen the course) and overall improved course conditions. Cherry Valley is still one of the most scenic golf courses in the Poconos, with wonderful views of the Appalachian Mountains. Cherry Creek comes into play on both the front and back nines, making for carried shots on a variety of holes. Great Bear, WINNER - Best Golf Course, Private - Rt. 209 North of Marshalls Creek. Great design and conditions, as opposed to the classic Nicholas courses, which can be difficult around the elevated green. Great Bear's greens are easy and not elevated. Here amid the rugged beauty of Pennsylvania's Pocono Mountains lies a private golf retreat of unsurpassed quality, offering new levels of luxury, comfort and convenience previously unavailable in this world-renowned Pennsylvania resort area. Once you have taken in the natural beauty here and played the spectacular golf course designed by the Golden Bear himself, Jack Nicklaus, Great Bear Golf and Country Club will entice you to return again and again. Hideaway Hills Golf Club - 18 holes, Kresgeville Winner Best Public Course. Very well maintained course in excellent condition and with well thought out layout. Fairways are wide and greens are large. Fernwood Golf Course 18 Hole resort course open to the public. Edgewood in the Pines - Edgewood RD, Drums 570 788-1101 18 holes. Fairways are hilly and large. Large greens. Terra Greens - East Stroudsburg 570 421-0120 9 holes. Beautiful putting greens. Whitetail Golf Club - Bath 610 837-9626 Interestingly laid out course but conditions are usually poor to average. Wilkes-Barre Golf Club - Laurel Run RD, Bear Creek 570 472-3590 Excellent course in great shape with wide fairway and large greens. Skytop - Skytop Resort Rt. 390 North of Canadensis. You'll need to be a member or a guest at the resort to play here, but if you are....the course is much more difficult than the yardage would indicate, because its greens are tricky. Excellent play with usually good conditions. Wild Pines Golf Club - at Pinecrest Lake Resort. 18 holes, Pocono Pines 570 646-4444. New course, beautiful layout, uses the natural topography of the land, has computerized golf carts with mapping system.